In 1999 Paul Dibb used the concept ‘arc of instability‘ to describe the security challenges facing the Pacific. The concept had its roots in the geographic school of strategic thinking, which holds that Australia’s main strategic priorities lie in its immediate neighbourhood, as unstable or weak Pacific states could pose a risk to Australia, particularly if they fall under the influence of a hostile power. Indeed, as Dibb argued in his 1986 Review of Australia’s Defence Capabilities (PDF), the Pacific ‘is the area from or through which a military threat to Australia could most easily be posed’. The concept ‘arc of instability’ re-emerged after the September 11 terrorist attacks; at a time when Australia’s focus was shifting towards non-traditional security challenges. Australia became concerned about instability in the Pacific, in part influenced by a wider international discourse about the perceived threat posed by failing states, which it was claimed could become staging points for transnational criminals and terrorists. Australia saw itself as responsible for securing the Pacific through a series of interventions, aid programs and governance, military and policing assistance aimed at strengthening Pacific states. But a lot has changed in the Pacific since then. 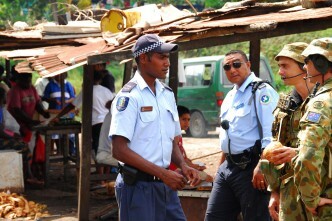 The Australian stabilisation mission in Timor-Leste has finished its mission, and in 2013 the small military component of the Regional Assistance Mission to Solomon Islands (RAMSI) will return home, while its other components scale-back (although an Australian policing and governance presence will remain in the medium-term). Papua New Guinea and Timor-Leste held relatively peaceful elections in 2012, and both appear to have formed fairly stable governments. 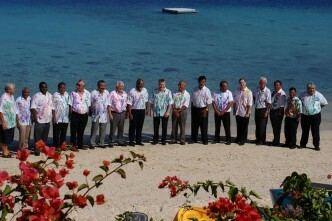 The performance of the Solomon Islands government has improved, and the Vanuatu government now functions quite well. In 2012 the military regime that has been in place in Fiji since their 2006 coup confirmed that elections will be held in 2014, and created a Constitutional Commission to make a new constitution. 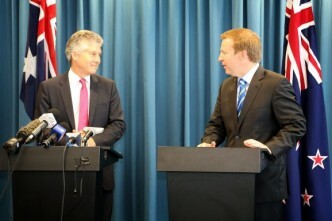 So it’s timely to reflect on progress and prospects in the Pacific. A group of Australian and Pacific experts have contributed short articles on ‘Security in the Pacific arc’ to a special volume of the journal Security Challenges. These contributions provide updates on progress being made in relation to the security challenges facing key states in the Pacific, and consider the prospects for the region’s future security and development. Collectively they suggest that, because Australia has tended to focus its efforts on short-term perceived security threats in the Pacific, it has often overlooked the long-standing and deep-seated challenges that underpin them—treating the symptoms rather than the cause. Consequently, Australia’s efforts to ‘secure’ the Pacific have had limited success and Australia seems to have declining influence in the region, with Pacific states increasingly willing to seek relationships with other external powers, most notably China. It appears to be time for Australia to change the tenor of its engagement with the Pacific, by adopting a developmental rather than security framework. Australia should consider undertaking ‘culturally-appropriate deep intervention[s]’, as advocated by University of the South Pacific academic Dr Jack Maebuta in his contribution to the special volume. These interventions would be integrated into the local context in order to address the long-standing political, social and economic challenges. 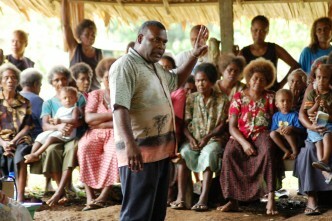 An important aspect of engaging with the local context will be recognising that, while Pacific states may have weak state institutions, the societies underpinning them are often highly resilient—communities fill the gap created by limited state capacity in order to provide law and order and basic public goods. So, although Australian strategic planners have focused on the Pacific as the region from or through which a security threat to Australia could most easily be posed, a more stable region, with stronger states, could equally provide Australia with a security screen. Therefore, it may be time for Australian policymakers to start to see the region not as an ‘arc of instability’, but instead as an ‘arc of opportunity’. Joanne Wallis is a lecturer in the Strategic and Defence Studies Centre at the Australian National University, where she also convenes the Asia-Pacific Security program. 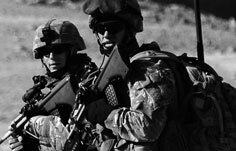 Image courtesy of Flickr user Australian Civil-Military Centre. 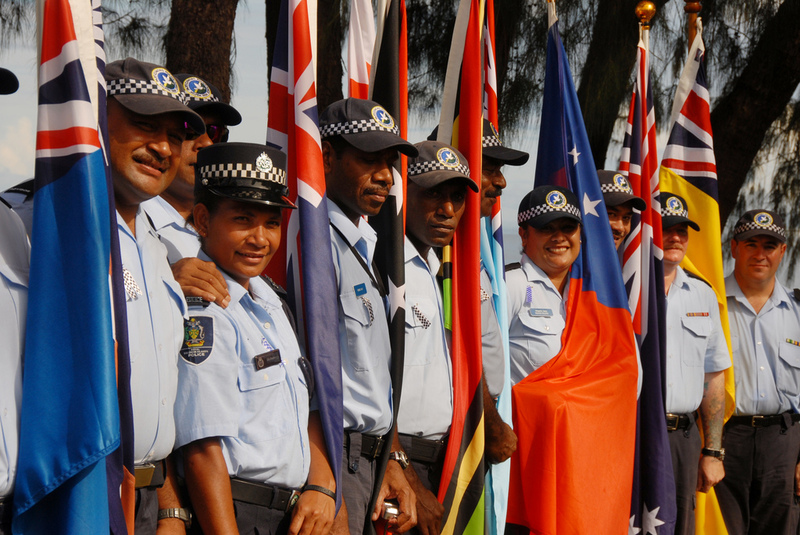 A workshop will be held on 8 February 2013 at the Australian National University to discuss the special volume of Security Challenges on ‘Security in the Pacific arc’. Details and registrations are available here.